Whether you're new to shooting or you want to brush up on your technique before the season starts, some tuition and practice will always reap dividends. For those of you that live and work in the London area, we've rounded up clay pigeon shooting grounds that are easily reached, so perfect for a half day. All of these shooting schools are close to London and it shouldn’t take you much longer than an hour to get to any of them from the centre of town (traffic permitting of course). If you’re a beginner you’ll benefit from expert clay pigeon shooting instruction, solid grounding in the all-important safety rules of shooting, a full briefing on what to wear so you look the part and of course the etiquette of shooting. Seasoned clayshooters can ask for an expert opinion on their shooting style and methods of improving their shooting skills. This well-established shooting ground is just off the A40 leaving, as the name suggests, West London. It has previously been voted best shooting ground in the country and prides itself on giving tuition that matches the individual and improves personal style. Beginners can start with a one-hour or two hour individual lesson with an instructor or take a course. There is well-regarded tuition designed for novice women shooters and young Shots are also welcomed. Another eponymously named clayshooting ground, this time just inside the M25 at Barnet. A family-run shooting club with friendly staff and professional instructors. The club accommodates any level of experience from beginners through to accomplished shooters and is an excellent venue to learn, practice or entertain. A little further out west along the M40 near High Wycombe, this leafy location offers a picturesque view when shooting clays. Deservedly popular with both beginners and for pre-season shooting technique revision, it’s certainly worth going that extra mile. 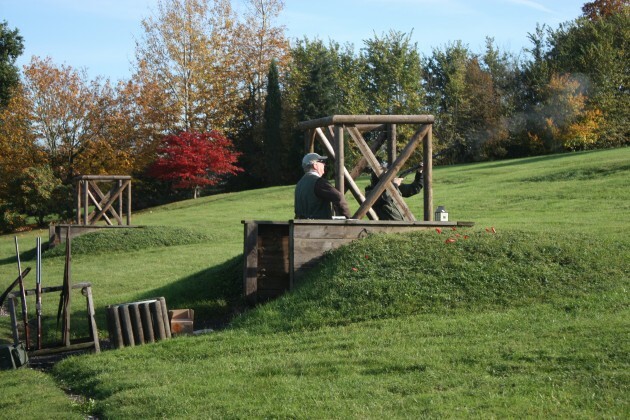 Down in Surrey, near Leatherhead, here’s a club that offers an excellent day for both novice and experienced clay pigeon shooters. The club has an exemplary safety record and aims to give every visitor a positive experience. The grounds are set within an 11 acre forest and include a testing 60 clay, English sporting range, Down the Line and Compak sporting layouts. Another Surrey club, this time near Reigate. Here you’ll get the clayshooting instruction you’re looking for at all levels with excellent value for money. Simulated clayshooting is also offered. Given the club’s proximity to Gatwick airport, it might be a place to meet fellow shooters flying in from abroad or further afield in the UK. This club runs young Shots days for 11-17 year olds for about £50, which includes shooting, cartridges, equipment and lunch. Near Hertford, it’s on the outer reaches of being handy to London but again teaches both novices and more experienced shooters. 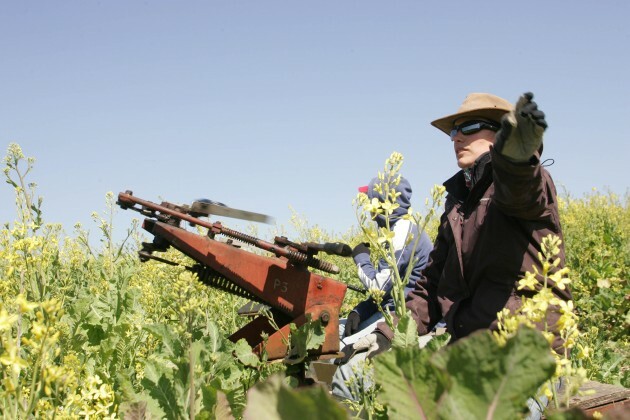 Holland & Holland Shooting Grounds has history, style and class on its 60 acres. Visitors will enjoy spending time at these beautiful grounds in Northwood. Apparently it was once said: “If Mr Holland is unable to teach a man to shoot then no-one can” and today Holland & Holland hold firm to this boast, having taught shooters from all walks of life with varying amounts of experience, at varying stages of life. Time spent at this shooting ground is an investment in your future enjoyment of the sport, whether you are a complete beginner or have more seasons than you care to count under your cartridge belt. If you’ve never shot clays but have always wanted to, then book yourself onto the ‘Have a Go’ taster sessions on offer, which include tuition and equipment. 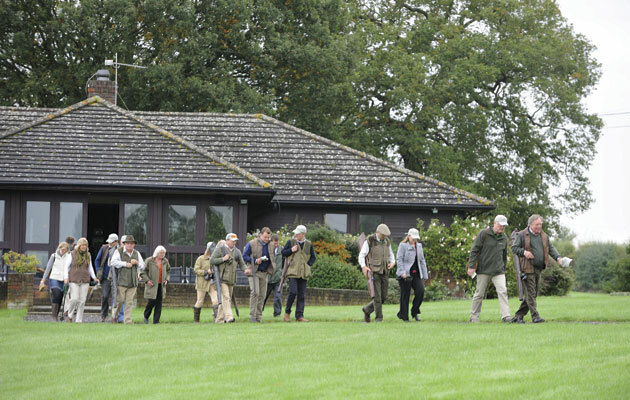 Each class lasts 30 minutes by which time you should have a good idea of your future path in clay pigeon shooting! The school always welcomes experienced Shots too.